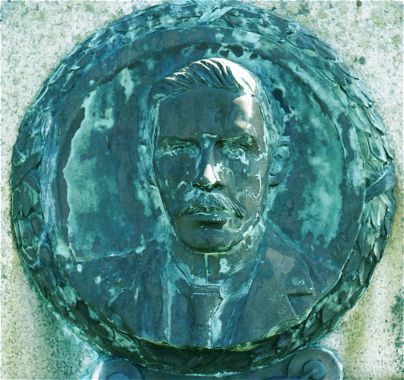 Dr. David Cowan had a large and successful practice in Maybole from 1904 until his death in 1913. 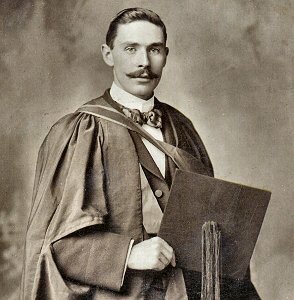 This photo of Dr. Cowan appeared on a postcard after his death and was contributed by Margaret Davidson. Click on the image on the right for a very large view of the postcard. The newspaper articles below were contributed by Alex McLaren. Click on them to read the story of the heroic doctor and his tragic death. 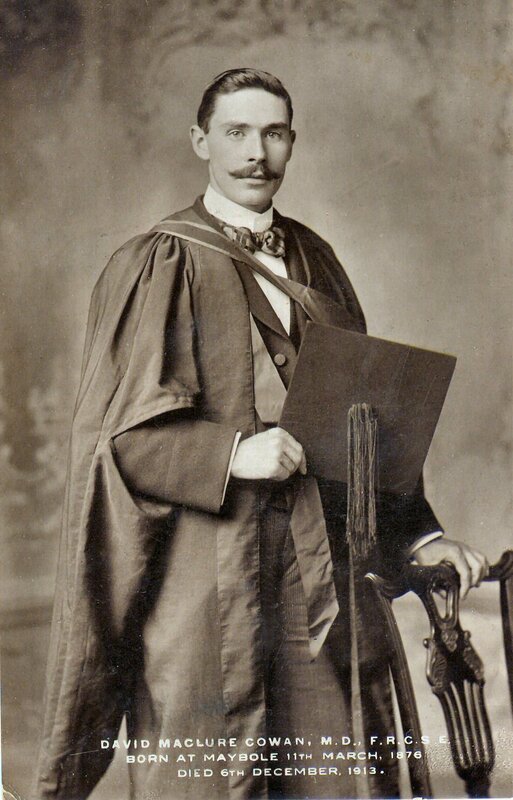 David Maclure Cowan M.D FRCSE. 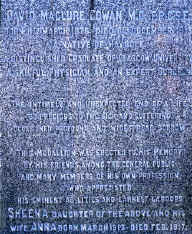 Born 11th March 1876 Died 6th Dec 1913. A Native of Maybole. A Distinguished Graduate of Glasgow University. A skillful Physician and An Expert Surgeon. The untimely and unexpected end of a life so precious to the sick and suffering occasioned profound and widespread sorrow. 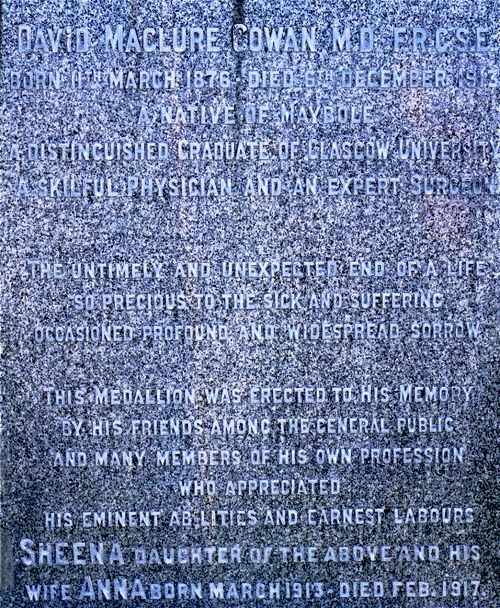 This medallion was erected to his memory by his friends among the general public and many members of his own profession who appreciated his eminent abilities and earnest labours. Sheena daughter of the above and his wife Anna born March 1913 - Died Feb. 1917. Dr.Cowan is buried in Maybole Cemetery with the bust and memorial shown above. Click on the images to view full size. Photo above is of Tunskin cottage where the doctor saved the shepherd's wife by carrying her in a chair to the main road. Examples of chair-lifting technique which Dr. Cowan used to transport the Shepard's wife.